Well I'm at the half way mark with my felt book for the Vana CFAC (crafting for a cause) Its so bloody exhausting and all i'm doing to blanket stitch geee's! Thought I would show off a card I made Dad for Fathers day last year I think. 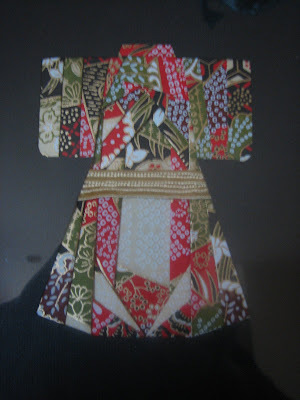 The technique is call tea bag folding (I think) and the paper is Japanese paper, not sure of the make. 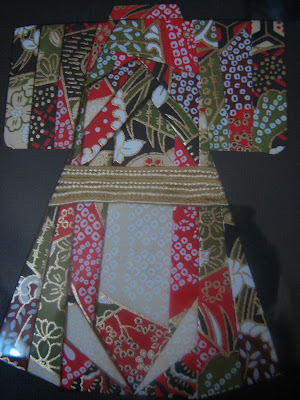 I think it turned out ok, I used some gold trim to make the obi.